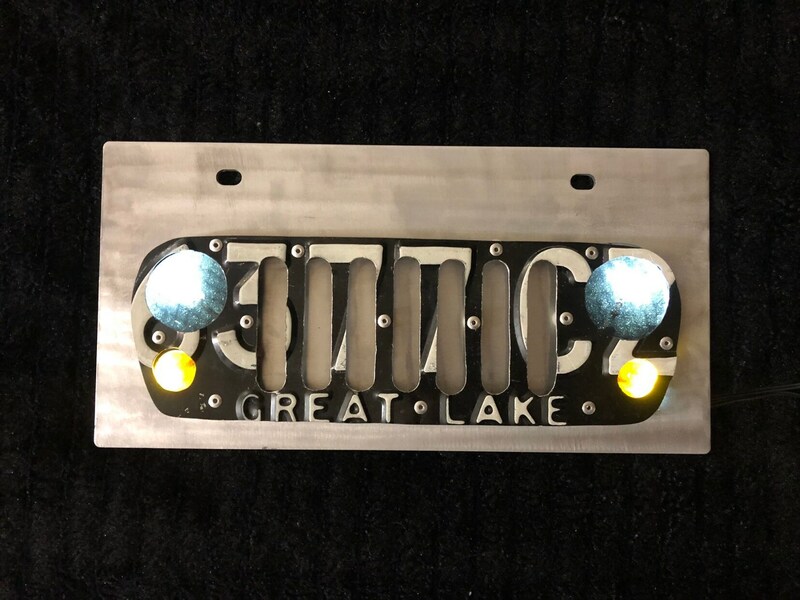 Jeep front license plate. Active lights that come on by ignition or switched power. You wire yourself. 2’ of wire provided. We can do any model year CJ, YJ, TJ, JK and also have unlit versions available. Any state, specific year requests may increase cost.